The internet has offered many people the opportunity to make money. Seemingly limitless communication means those looking to profit using the internet, often doing what they love, now have access to a bigger audience than ever before. If you’re a gamer looking to make it big in the world of esports, you can turn to Twitch to entertain fans and fund your endeavors. An author with a novel idea for a novel? Self-publishing on Amazon could land you on the New York Times’ Best Seller list. Want to travel and see the world? Well now you can and fund yourself at the same time thanks to the popularity of blogging. The possibilities are vast. In recent years one of the most lucrative options has taken the form of utilizing social media and, in particular, Instagram. But how do you get started, and more importantly, how do you actually get paid to upload your everyday pics? Let’s take a look in more detail below. 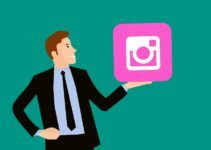 Instagram is one of the best and fastest growing marketing tools out there, but for it to operate effectively for you, you need followers. By securing followers you’re going to have an audience to communicate with, but this is obvious. What makes your audience on Instagram special is, much like on Twitter, if they’re following you it means they’re interested in the content you’re posting, and this means they are much more susceptible to your Instagram account’s content and concept. But how do they find you (or you them) initially? According to this guide on the subject, you firstly need to focus and specialize your content on a particular topic, for example fitness or travel. Secondly you need to create high quality and interesting content that people will resonate with and want to share. Last but not least, you’ll want to use relevant hashtags to categorize it so that likeminded people can find your content easily. Now that you have an audience to market to it’s time to find sponsors and brands to work with. You will end up collaborating with companies to create sponsored content that promotes and highlights a certain product, brand or service. It’s just a case of either reaching out to the brand or company, or getting big enough where they find you. Perhaps the best example of this is Jen Selter, who endorses a number of different fitness and health products thanks to her massive following of over 10 million people. 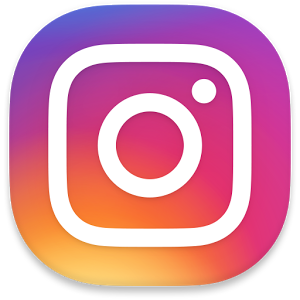 Aside from finding sponsors, Instagram is a great way to showcase your photography to those who might want to use it, be it for stock photos with a company like Shutterstock or simply as prints to hang up at home or at work. If you have a keen eye for compositions and color palettes then this could be the best option for you. There are even a few websites such as Twenty20 that will actively buy your photos from you providing they’re good enough.